Affordable sports cars are few and far between--but the 2019 Subaru BRZ lets you tear around the track without breaking the bank. 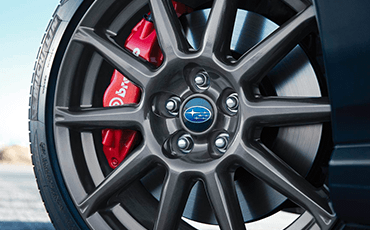 As a rear-wheel drive coupe built for the track, it stands out from its fellow Subaru models in many ways. However, it still shares many of the most important features, like longevity and quality. You can find out a lot about the 2019 Subaru BRZ from an article like this one; however, there's simply nothing like experiencing it for yourself. After you've learned more below, be sure to stop by for a test drive. If you're interested in high-power performance, but also want something a little more versatile, check out the 2019 Subaru WRX. One look at the 2019 Subaru BRZ is all it takes to know that it's a sports car through and through. Its aerodynamic body design is complemented by its trunk spoiler, 17-inch aluminum-alloy wheels, and LED lights, so it's sure to turn heads. However, Subaru knows that what's inside counts, too--and with comfortable seating, sport-design gauges, and a leather-wrapped steering wheel, the sportiness of the BRZ continues into the cabin. 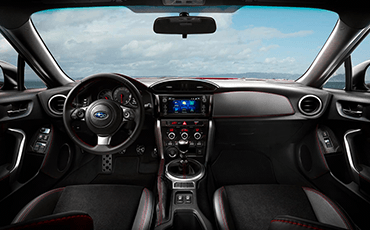 In addition to comfort and sporty style, the interior of the 2019 Subaru BRZ also contains top-of-the-line technology, like the STARLINK™ multimedia system. Apple CarPlay™ and Android™ Auto make connectivity easy, and the eight-speaker audio system delivers exceptional sound quality. Available features like voice-activated navigation create an even more advanced experience. The best way to stay safe is to remain in control of your vehicle--and the Subaru BRZ makes this easy with features like four-wheel anti-lock braking, brake assist, and Vehicle Stability Control with Track Mode. Of course, accidents can happen to anyone, even the very best drivers. That's why the 2019 Subaru BRZ has a sturdy design and is equipped with advanced airbags and active front-seat head restraints. 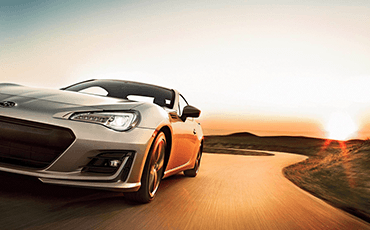 The 2019 Subaru BRZ is renowned for its powerful, sporty performance. The naturally aspirated SUBARU BOXER® engine with its 205 horsepower (which goes a long way, especially in such a light car) is the cause of this--but it does so much more! Its design is horizontally opposed, and it's placed low and far back in the body of the coupe. 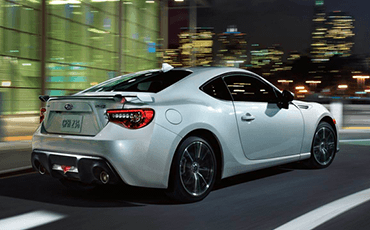 This, combined with the rear-wheel drive, gives the Subaru BRZ remarkable balance and a low center of gravity, making those turns even more enjoyable. The driving experience is made even more responsive with sport-tuned suspension, Torsen® limited-slip differential, and a 13.1:1 steering ratio. Want to make the Subaru BRZ even better at performance? There's a way to do that, too: the Performance Package. This includes amazing features like wider wheels, SACHS® performance shock absorbers, and Brembo® performance brakes. 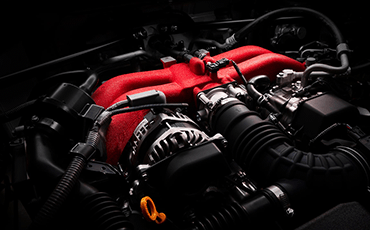 Pick the Premium trim level to get sporty performance at an affordable price. 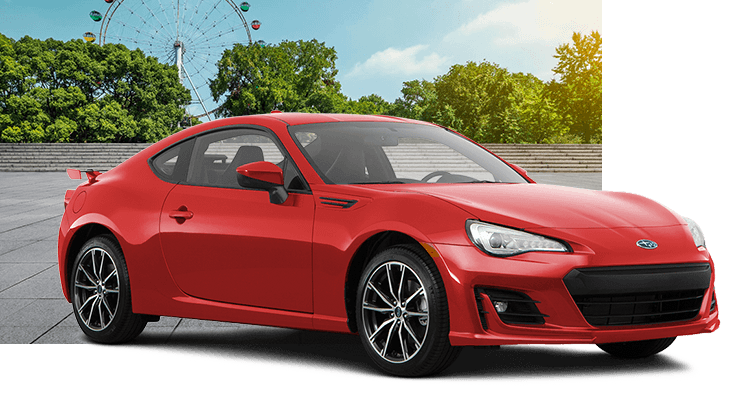 The more affordable Subaru BRZ still comes with all the performance and style you're looking for from your next sporty driver's coupe. On the inside, you'll find a simulated leather dashboard with handsome accent stitching plus a leather-wrapped sport steering wheel and shift handle. On the exterior, you get aluminium alloy wheels, LED headlights and a rear spoiler for a look that hints at the power to be found under the hood. When it comes to performance, you'll enjoy four-wheel ventilated disc brakes, a four-wheel fully independent suspension, quick-ratio electric power steering and a limited-slip rear differential by TORSEN®. 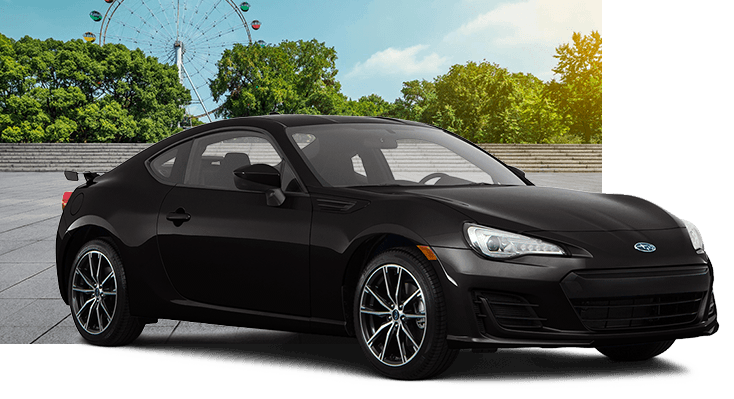 When you want a sporty drive and some luxury features to go with it, stepping up to the Subaru BRZ Limited gets you a whole lot for your money. It boasts a larger touch screen display and dual USB charging ports so you can juice up all your devices on the drive. Additional features include leather and Alcantara® upholstery, dual-zone automatic climate control and keyless access with push-button start. You'll also get access to the Performance Package with oversized BREMBO® brakes and SACHS® shock absorbers for improved handling precision. 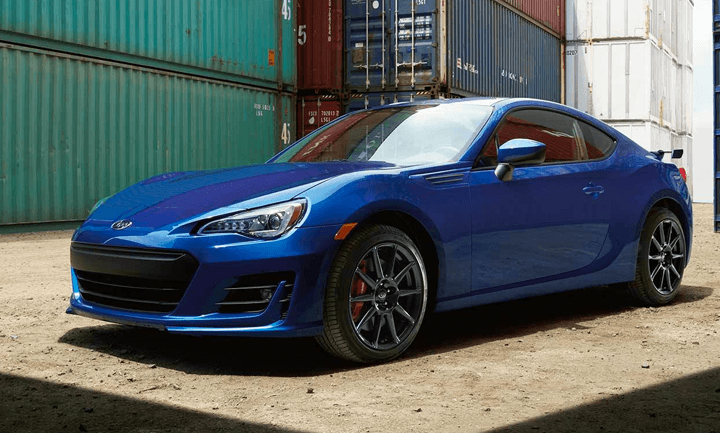 It's also available with an automatic transmission and paddle shifters (you'll have to row your own gears in the 2019 Subaru BRZ Premium). On the exterior, LED fog lights and heated side mirrors are also upgrades you'll only get on the 2019 Subaru BRZ Limited. Finally, the dashboard of the Limited also includes a 4.2" color multi-function display with performance information. It'll put all the data you need to make the most of your track day right in the gauge cluster.